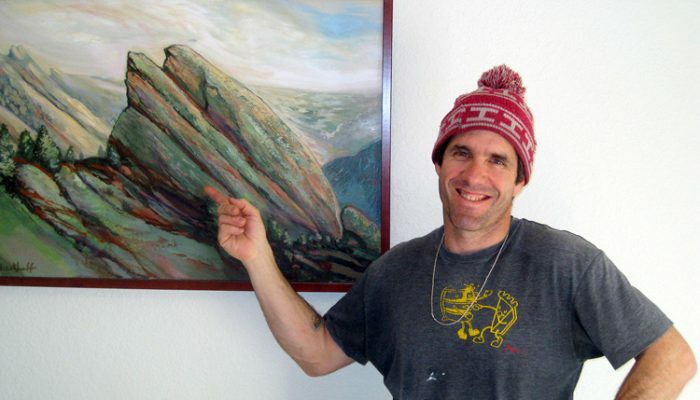 Matt Samet is a climber and freelance writer and editor based out of Boulder, Colorado. Writing about the sport of climbing since 1996, he is also the author of a recent memoir, Death Grip, and is on Facebook and Google+. Matt Samet, of Boulder, Colorado, has been climbing for a quarter century: long enough to blow through dozens of ropes, rock shoes, approach shoes, backpacks, chalkbags…you name it. The former Editor of Climbing Magazine, Samet recently published the memoir Death Grip (St. Martin’s Press, 2013) as well as the Climbing Dictionary (The Mountaineers Books, 2011), an alphabetical climber-slang dictionary and historical survey of the sport illustrated by Mike Tea. His work has also appeared in Outside, Men’s Journal, Alpinist, and Rock & Ice magazines. Samet’s favorite haunts are the Flatirons, Boulder Canyon, and Eldorado Canyon, where’s he always on the hunt for first ascents—the dirty, filthy, thankless workman’s labor of putting up new climbs that also tends to be very tough on gear. Despite being kinda old, short, and fat, Samet can still sometimes, on a good day, when the wind is blowing from the proper direction and gravity is on vacation, climb sorta—but not very—hard. Painting: Seal Rock in the Flatirons, by Steven Dieckhoff.